Live From Lincoln Center presents the New York Philharmonic’s production of Rodgers & Hammerstein’s iconic American musical, Carousel, featuring a star-studded cast including Kelli O'Hara, Nathan Gunn, Stephanie Blythe, Shuler Hensley, Jason Danieley, Jessie Mueller, Kate Burton, John Cullum and New York City Ballet dancers Robert Fairchild and Tiler Peck. “Rodgers & Hammerstein’s Carousel” is hosted by Audra McDonald and will air on PBS stations on Friday, April 26, 2013 at 9 p.m. (ET) (check local listings). Now a beloved classic, Carousel—with music by Richard Rodgers and book and Lyrics by Oscar Hammerstein II—was hailed by Time Magazine as “the best musical of the 20th Century.” Based on Hungarian playwright Ferenc Molnár’s 1909 play, Liliom, Rodgers and Hammerstein’s Carousel transfers the story from Europe to the Maine coastline and revolves around the tragic romance between carousel barker Billy Bigelow and mill worker Julie Jordan. The musical includes such highlights as “If I Loved You,” “June Is Bustin’ Out All Over,” and “You’ll Never Walk Alone.” Following its Broadway premiere in 1945,Carousel has been staged across America and throughout the world and remade for both film and television. 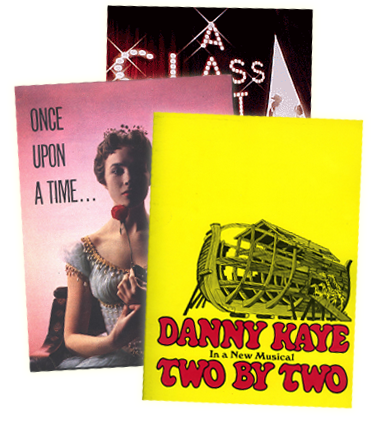 Landmark stagings include the Royal National Theatre (UK) 1992 production, which was subsequently presented at Lincoln Center Theater in 1994 and received five Tony Awards including Best Musical Revival (and Best Featured Actress in a Musical for Audra McDonald); a current European production by Britain’s Opera North is now showing in Paris. The New York Philharmonic production features Kelli O’Hara (Julie Jordan), Nathan Gunn (Billy Bigelow), Stephanie Blythe (Nettie Fowler), Shuler Hensley (Jigger Craigin), Jason Danieley (Enoch Snow), Jessie Mueller (Carrie Pipperidge), Kate Burton (Mrs. Mullin), and John Cullum (Starkeeper/Dr. Seldon), among others. This production also features New York City Ballet principal dancers Robert Fairchild (Carnival Boy) and Tiler Peck (Louise), choreographed by Warren Carlyle, in the Act II pas de deux ballet. This staged concert performance was directed by John Rando and conducted by Rob Fisher. Founded in 1842, the New York Philharmonic is one of the oldest orchestras in the world. Since its inception, it has played a leading role in American musical life, reaching out to audiences with touring that began in 1882; recordings beginning in 1917; and radio broadcasts since 1922, now represented by The New York Philharmonic This Week, syndicated nationally 52 weeks a year. This Live From Lincoln Center program was taped at Avery Fisher Hall at Lincoln Center in March 2013, and marks the orchestra’s 75th appearance on the series. 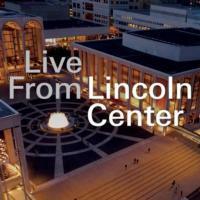 Live From Lincoln Center is in its 38th broadcast season, and has received 13 Emmy Awards to date. Live From Lincoln Center, which celebrates the live performance experience, has made the world’s greatest artists on Lincoln Center’s renowned stages accessible to home viewers in virtually every corner of the United States. This episode is directed for television by Glenn Weiss. The executive producer is Andrew C. Wilk. Lincoln Center’s Chief Media and Digital Officer, Elizabeth W. Scott, is executive in charge of the series’ production. “Rodgers & Hammerstein’s Carousel” is the fifth of six Live From Lincoln Center broadcasts to air this winter and spring on PBS, part of an expanded 2013 season. The final broadcast of the season airs onMay 24 at 9 p.m. with host Audra McDonald performing a special gala concert. Please check local listings for exact air times in each market. Further information about Live From Lincoln Center, along with photos and videos can be found at: Lincoln Center Press Room. So jealous of those who could attend the lincoln centre Production of Carousel yesterday 26th April. Carousel being my all time favourite musical since the age of 1. It conveys every aspect of life from birth to death, but in such a magical way, It never fails to move me. I have seen it in many productions, and the film version of course, which apparantly was R&H favourite version. Do so wish they were still with us; just think what wonderfulstories and music they could convey.